Home » fmyou's booth » Sauter-Finegan DJ 78 Big Band Lounge Jazz Rain Stop! Sauter-Finegan DJ 78 Big Band Lounge Jazz Rain Stop! 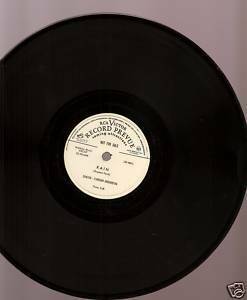 RCA Victor Record Prevue coming attractions vinyl 78 rpm single (1952) Sauter-Finegan Orchestra Rain b/w Stop! Sit Down! Relax! Think! Record is VG. Please see the Glenn Miller Sauter-Finegan section of our store for more great selections.